With beautiful scenery, mild climate, an incredibly rich history, stunning architecture, magnificent gastronomy, a thriving wine industry and a terrain well suited to cycling, there's no better place in France, and maybe even the world, for a multi-day cycling tour than the Loire Valley. Our tour of the Loire begins in Blois and focuses on many of the high points of central Loire Valley. 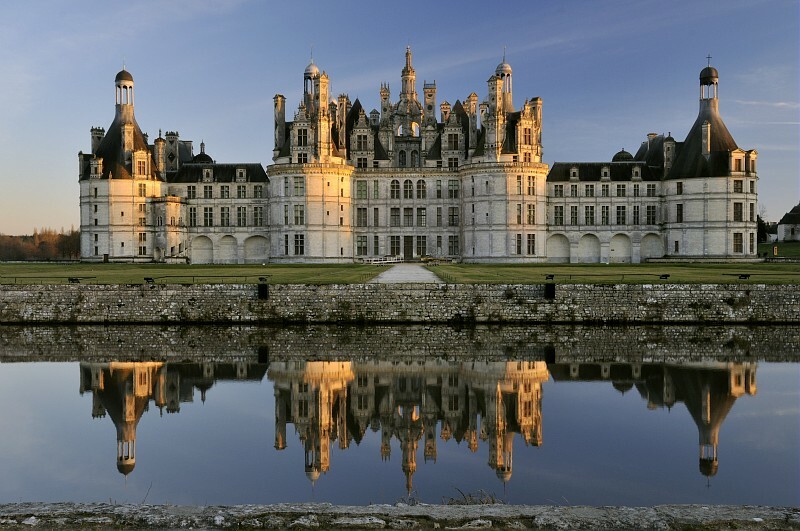 We take in most of the principal chateaux: Chambord, Cheverny, Chenonceau, Azay-le-Rideau, Blois, Villandry, Chinon, Ussé, Saumur, Langeais, as well as the economic and cultural center of the region, Tours. In the last 10 years or so, the French government has created an extensive network of dedicated bike paths & marked bike routes along 800 km of the Loire from Nevers to Saint Nazaire. It's called the Loire à Velo, and it's still a work in progress but it does make finding your way a bit easier, altho we still find our maps invaluable, since not all the routes are marked out, sometimes the official map is just wrong, and it's still possible to get turned around. We did this tour in 15 nights, which was a comfortable pace for us. You might be able to get all of it in less time, but that's not our style. We start in Blois, an easy train ride from Paris, where it's easy to rent your bike. It's also an easy day trip to both Chambord and Cheverny. From Blois, it's a pleasant ride to Amboise, it's chateau and other attractions. From Amboise, we have nice day trips to the must-see chateau Chenonceau and an easy & fun ride to the famous wine town of Vouvray. From Amboise, next up is Langeais and it's magnificently restored chateau (possibly our favorite). From Langeais, it's an easy & fun day trip to Azay-le-Rideau, where we can also have a look at a couple of other interesting things. After Langeais, we change things up a bit. We're done with the big name, must see places and we now spend our time with smaller, lesser known, but still fascinating sights. Our next stop is Chinon, a delightful medieval town with a spectacular fortress. On our way, we'll have the chance to stop off at Ussé, the chateau that inspired the author of Sleeping Beauty. We have two day trip suggestions from Chinon, one is a very pleasant loop through forests & vineyards to the Royale Abbaye de Fontevraud. The other is an equally pleasant ride to the lesser known Chateau de Rivau and it's wonderful gardens. From Chinon, it's a nice ride along the river to Saumur, its chateau, it's museums, and best of all, le Cadre Noir, the French National Calvary school, where, if you're lucky, you'll see a demonstration of horsemanship that we found astonishing. If you're still in the mood to ride, we have a little day trip up & back along the Loire to a very old and fascinating church. Once done in Saumur we return the bikes just a few steps from the train station and hop the train back to Paris.